The most successful teachers I know use authentic experiences to CALL ATTENTION...and then follow up with asking/provoking their students to record what they observed in whatever “language” is available and meaningful to them (writing, drawing, dance, mathematics, etc.). This apparently simple process (so simple that it’s often ignored), is the fundamental building block of all learning...of genuine understanding. What happened? What did you sense (using all five of senses)? How would you, can you, describe it? I remember a personal epiphany with this process after college, when I was introduced to Frederick Franck by Louise’s mother, Adeline Boyd, an adjunct professor of Eastern Art at Washington University in St. Louis. The book of Franck’s that she recommended to me when she saw a couple of my sketches was The Zen of Seeing, Seeing/Drawing as Meditation. The book is a collection of Franck’s drawings and his hand written observations. It opened a whole new way of understanding the world for me. He writes: SEEING/DRAWING is a way of contemplation by which all things are made new, by which the world is freshly experienced at each moment. It is the opposite of looking at things from the outside, taking them for granted. What I have not drawn, I have never really seen. Once you start drawing an ordinary thing, a fly, a flower, a face, you realize how extraordinary it is — a sheer miracle. When I take the time to SEE, the world is transformed for me…I make sense of the parts in new ways…my perspective becomes more complete…my life becomes more full. There are so many experiences that I could recount for you, both in my personal reflections, in my teaching, and my teaching of teachers. 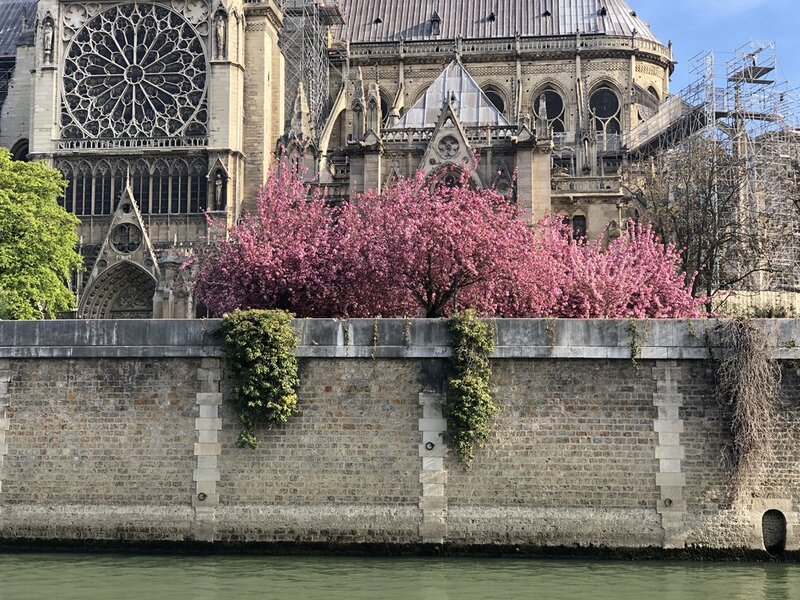 My most recent experience of the intractable value of close observation that leads to understanding was in Paris. 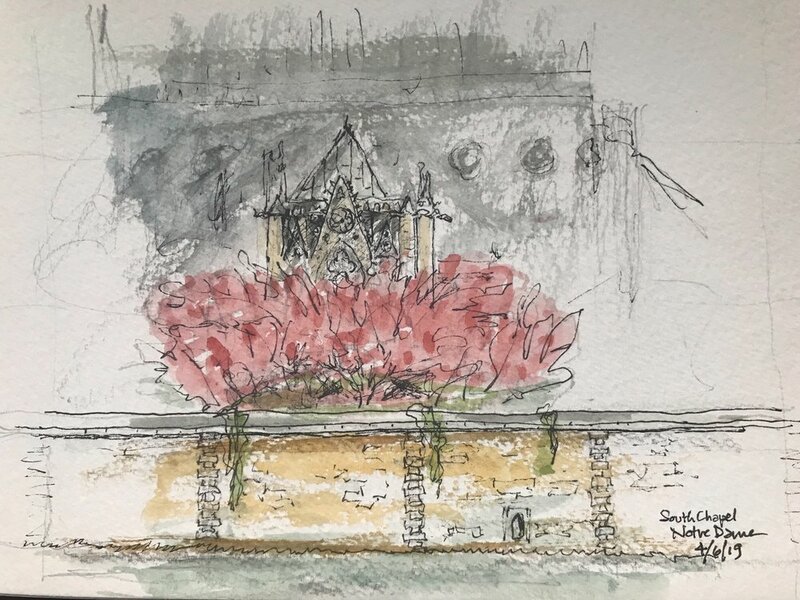 When I saw the news headline last week that Notre Dame had burned, the gut wrenching blow I felt was directly related to these sketches I’d made only two weeks ago...one while sitting out front with 1,000 of my best friends from all over the world, and one four days later having stopped while biking along the Seine with Louise. 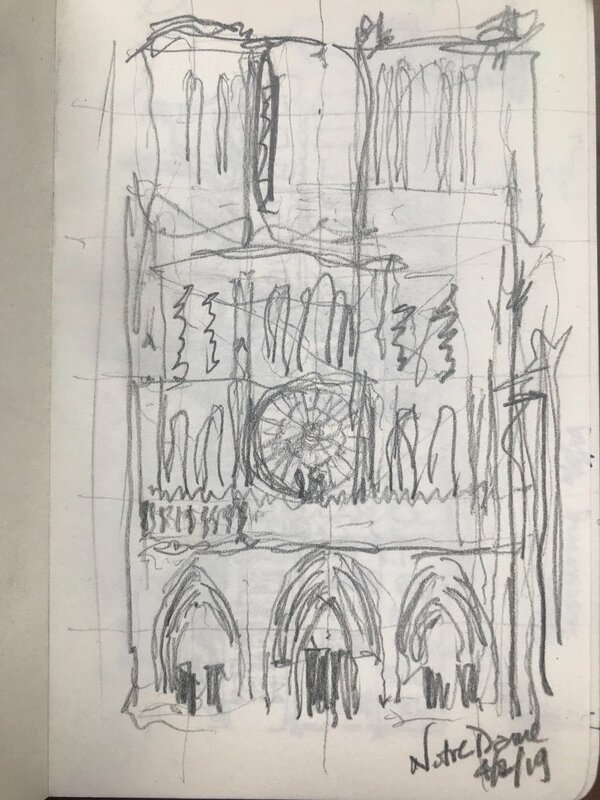 Neither of these sketches is really about “art.” They represent my full, undivided, completely delighted PRESENCE...really SEEING Notre Dame and drawing what I saw and felt. 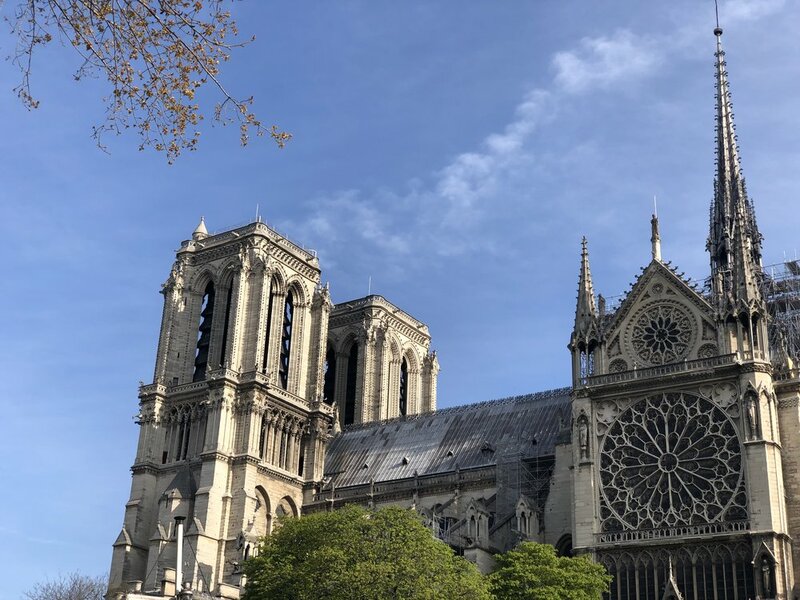 I understand Notre Dame in an utterly real and unfathomable way. Like feeling your breath, now here...now gone. 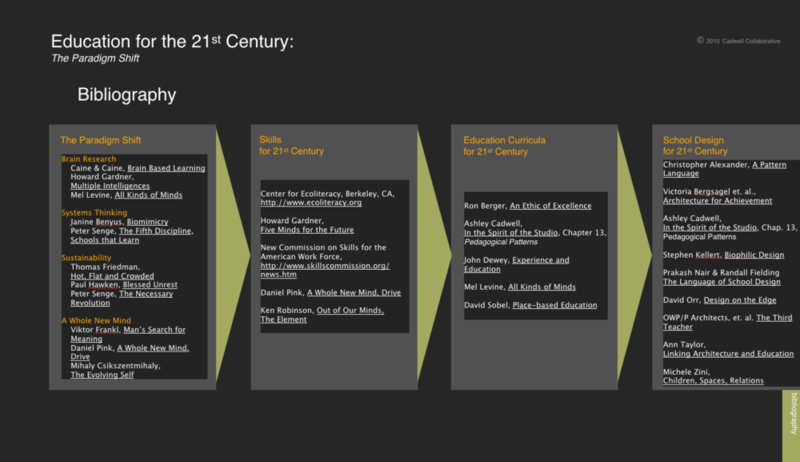 There are many ways to think about Education in the 21st Century and here is one way I have composed my understanding. My construct begins with the paradigm shift caused by many factors, including: brain research, sustainability, and, well…living in a whole new world. With this paradigm shift we have come to understand more about how we learn (through multiple learning styles, multiple intelligences, the 100 Languages). We have begun to frame our thinking about sustainability. And we are learning to embrace the ways that we create meaning in our lives. 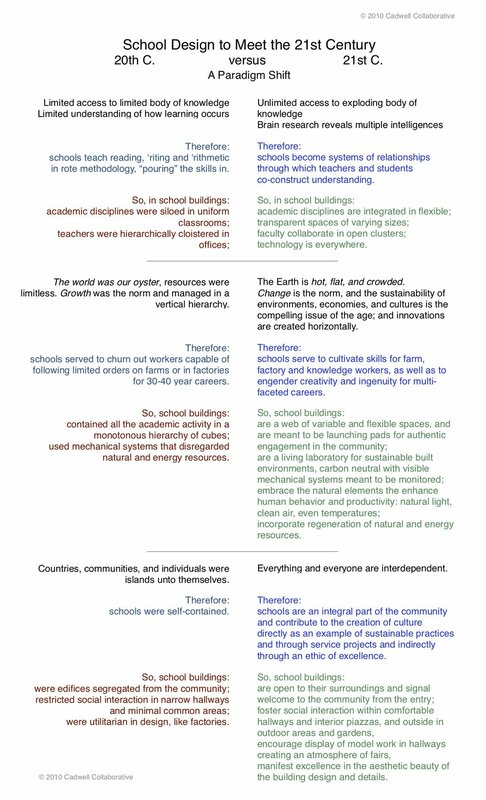 Each of these areas can be restated as Skills for the 21st Century…and the skills, new and evolving, require a new and evolving 21st C Education Curricula: cross-disciplinary research projects, service projects, and an “ethic of excellence.” New curricula requires a new way of thinking about 21st C School Design, new patterns for design, including: labs and studios, transparency, gradation of spaces, sustainable materials and energy systems, connection to community, galleries and fairs, aesthetics. I have composed a keynote presentation of this thinking…one that I have used to stimulate thinking in many contexts including faculty curricula design meetings and with school architects. Here is the outline slide of the presentation…followed by a collage slide of some of the many images that I use in the discussion…and then, a partial bibliography of sources that have inspired this composition. I’d be happy to share this with anyone over ZOOM…Cadwell Collaborative’s new found internet friend (we can host groups of up to 100!!!!). Just drop me an email at j.ashley.cadwell@gmail.com. Here is another outline of the thinking. In schools, the philosophy and context of the place and time, and the skills and dispositions of the administration and the teachers, all set the stage for the kind of teaching and learning that will evolve. For creativity to be central to teaching and learning, teachers must honor the students’ intelligence, way of approaching life, and their innate drive to learn. 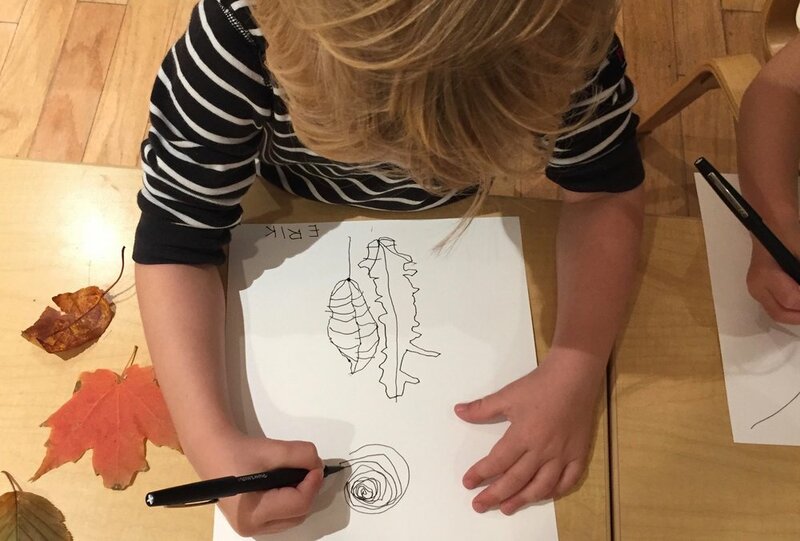 In the schools of Reggio Emilia, Italy, and in any classroom where hard work, joy, excellence, respect, and creativity abound, the students and teachers make their way together in a learning journey. The teachers are not handing over information that they expect the students to memorize and repeat. To create well-being for everyone, the classroom needs to be organized and clean and the teachers need to be kind and present for the children. 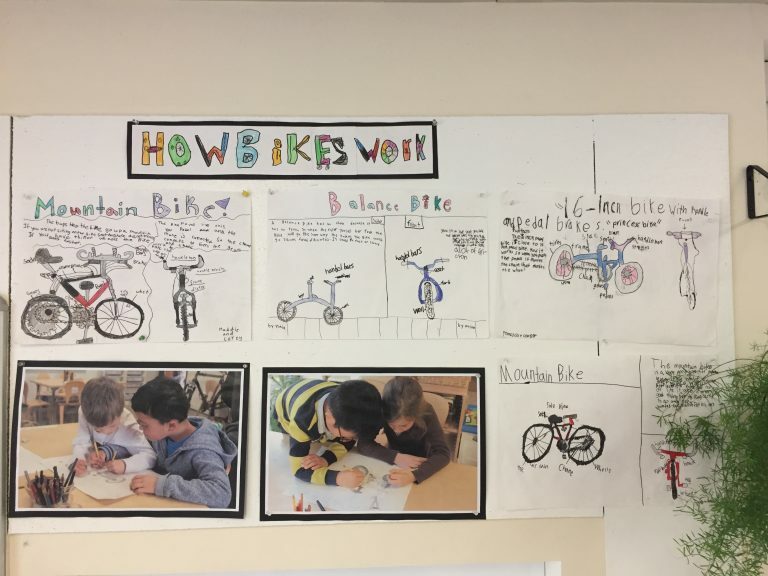 The routines and the agreements of the classroom can be thoughtfully authored, shared, and owned by each person, rather than imposed by the teachers on the children as rules. In the schools of Reggio Emilia, teachers place a high priority on listening to children. They often do so in the context of conversations based on open ended questions without a “right” answer. The teachers seek to uncover children’s way of experiencing and noticing the world around them as well as their way of making sense by putting new ideas together. At Harwood Union High School, the teachers and administration have dedicated themselves to Socratic Seminar and the Harkness Method. Students come prepared to enter into dialogue about what matters and what is most compelling about what they are reading and learning, rather than to listen to teachers lecture about what is most important. All of these are ways to bring creativity to the center of teaching and learning, but also to life long learning. This is a way to approach learning that respects the intelligence of students and their need and right to make their own meaning which might come as a surprise to us as teachers. How wonderful! Another way to nurture creativity in the classroom is to bring in materials and to offer multiple ways to express ideas. The educators in Reggio Emilia use the term “the hundred languages of children” to refer to all the disciplines. They prefer to call them languages (rather than disciplines) in order to emphasize the communicative power of math, science, clay, paper, gesture, music, words…Project work that includes multiple languages can become, as Ron Berger writes, beautiful work. In An Ethic of Excellence: Building a Culture of Excellence with Students, Ron advocates for the power of a culture of excellence in every classroom. In the context of this kind of “culture of excellence,” students strive to create beautiful work in graphics, writing, math, science. All of this takes effort, skill, understanding and multiple drafts executed within the structure of a supportive and skilled community of learners. This work is most often composed for a public audience and contributes in some way to the larger community. Don't consign creativity to the realm of fairy dust. Certainly, moments in the creative process seem to come from beyond us, almost magically. Those moments, however, are nearly always preceded by long periods of sweat and grit. Perhaps the single most common attribute of creative people is how hard they work. They know a great deal about their domain or discipline. After all, people are creative in some pursuit—writing, soccer, botany, or marketing. Help students develop what Ron Berger calls an ethic of excellence—hard work, pride in craftsmanship, and appreciation for fresh, fruitful thinking. • Shape your space…curate your space (classroom) so that you are surrounded by order, the tools that you need, and personal meaning. • Take charge of your schedule…you (your students) need the time and discipline to devote to what you love, to the work that you seek to accomplish. • Take time for reflection…relax, pause, take some time out from rushing from one thing, (class), to another. • Look at problems from as many viewpoints as possible…look at situations from various angles, consider different reasons and causes, try tentative solutions, reformulate the problem. • Find a way to express what moves you…creative problems generally emerge from areas of life that are personally important. 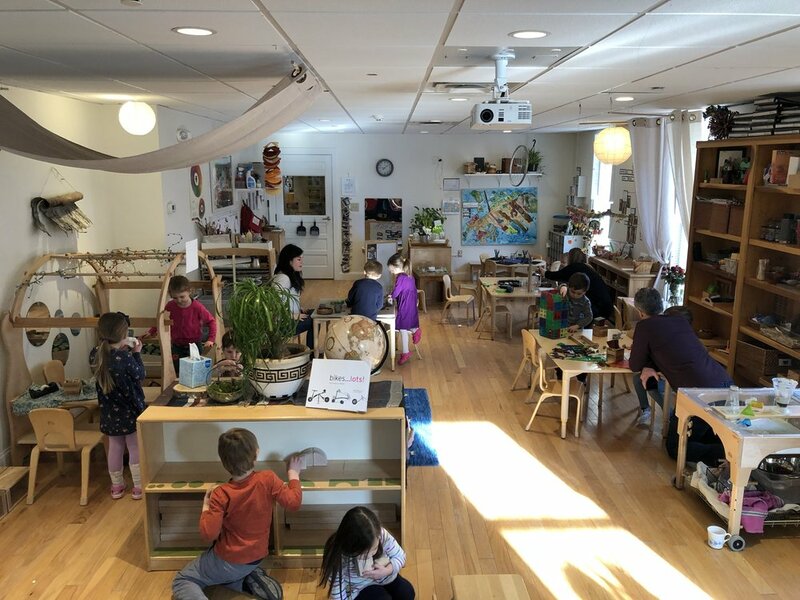 One of my favorite memories as a fellow in the schools of Reggio Emilia after a morning with children in all their various groupings, is the flurry of activity among the teachers. Teachers would gather in the atelier and tell each other what had happened with words like…you would not believe what Filippo and Giorgia invented. I can’t wait for you to see what Andrea constructed. 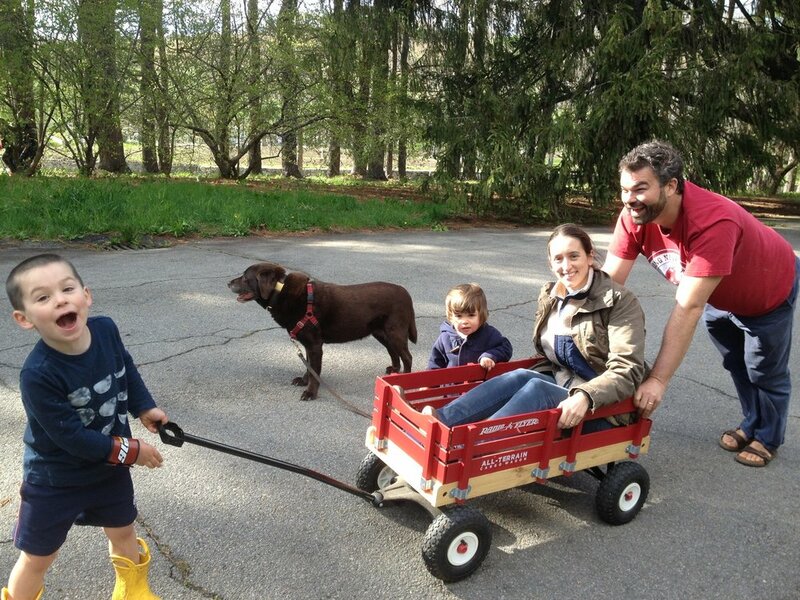 Story after story of surprises around what happened…what the children did, said, made, created, solved, and wondered. Their excitement and collaboration around learning and creativity for themselves and alongside the children has always inspired me. 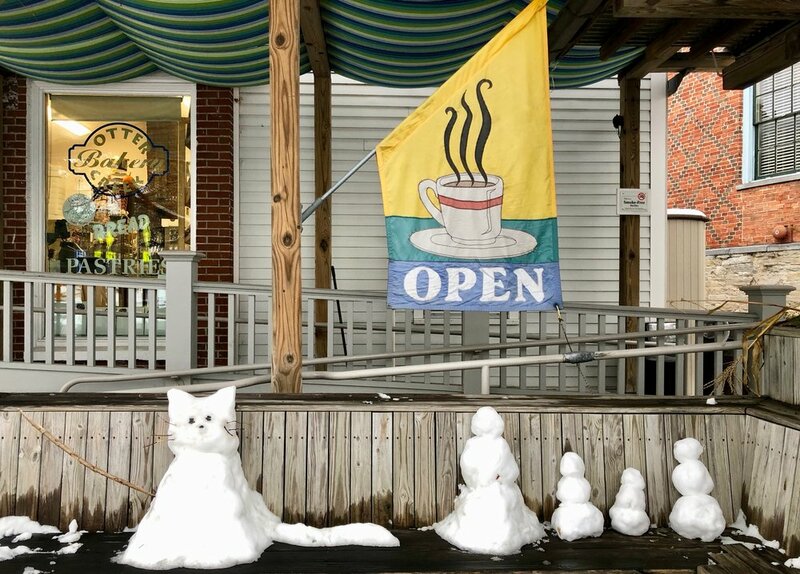 Creativity can flourish when there is a context that also includes, as our friend John Elder says, buoyancy and playfulness, presence and gratefulness. 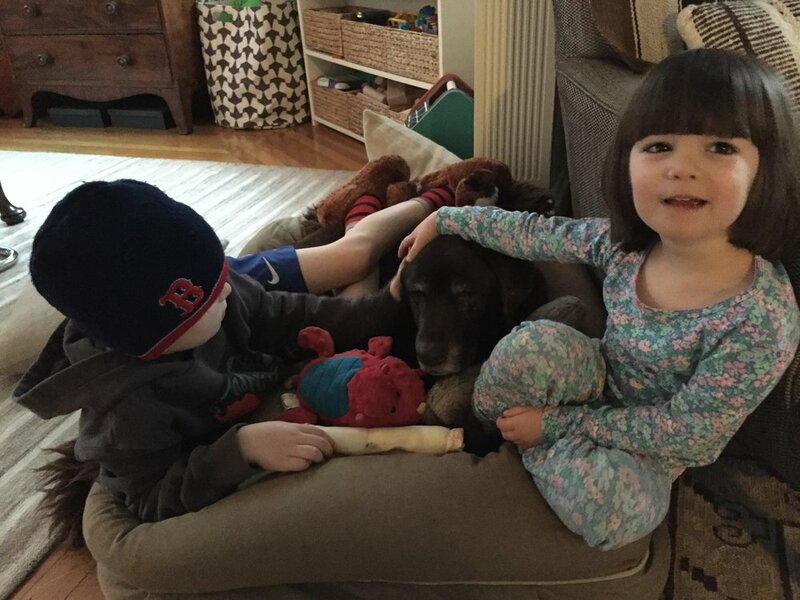 Creativity needs friends, fertile ground and good care just as we all do, and most especially, our children. In the last six months, I have written five blog posts on the topic of creativity. Lately, I have revisited some of the books that have inspired me the most and searched for new books and articles that could reveal more about creativity, how it works, and why it is such an important quality for all of us. 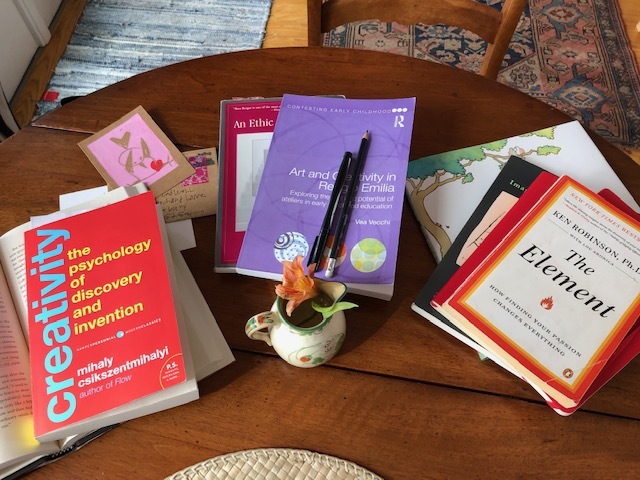 I’ve read Creativity: The Psychology of Discovery and Invention by Mihaly Csikszentmihalyi, many articles in the publication Educational Leadership in an issue on Creativity, and other articles that I have saved and filed away. I have reread Daniel Pink’s A Whole New Mind, and Five Minds for the Future, by Howard Gardner, An Ethic of Excellence by Ron Berger, Art And Creativity in Reggio Emilia by Vea Vecchi, and several books and TED talks by one of our most articulate writers and speakers on creativity, Sir Kenneth Robinson. .
Loris Malaguzzi, the founder of the Reggio approach to the education of young children in Reggio Emilia, Italy used to say that in the schools of Reggio Emilia, creativity was dressed in everyday clothes. I think he meant that rather than being special or unusual, belonging only to a few, or being reserved for a special time and place, creativity is present in everyone and is everywhere. At its most basic, creativity means thinking, experimenting, and putting things together in new ways in words, in gestures, in actions, and in materials. 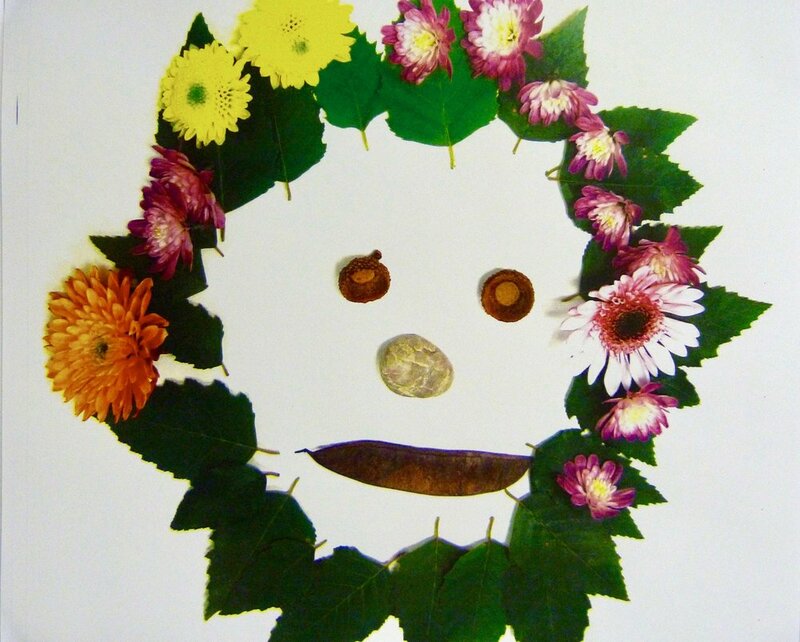 For example, Carlina Rinaldi, author of In Dialogue with Reggio Emilia, and long time leader in Reggio Emilia in many roles, reminds us that when a very young child gives a color a name like “sun yellow” or “egg yellow,” that this is a creative act. In A Whole New Mind, Daniel Pink argues that the future belongs to a different kind of person with a different kind of mind: artists, inventors, storytellers-creative and holistic "right-brain" thinkers who will thrive themselves and work to create a hopeful, healthy future for all of us. In one of Ken Robinson’s talks he says, An esthetic experience is one in which your senses are operating at their peak, when you are present in the current moment, when you are resonating with the excitement of this thing you are experiencing, when you are fully alive. An anesthetic experience is when you shut your senses off, and deaden yourself to what is happening. We are getting our children through education by anesthetizing them. And I think we should be doing exactly opposite, we shouldn't be putting them asleep, we should be waking them up to what they have inside of themselves. In our hearts and minds, we know that, as humans, our imaginations and creativity coupled with hard work, passion, and skill have contributed to the most important and beautiful works of humankind for thousands of years, in each discipline. Csikszentmihalyi writes, when we are involved in creativity we feel that we are living more fully and sense that we are a part of an entity greater than ourselves. To honor and nurture our human capacity to be fully alive, awake, present, to think, and to work alongside others to contribute to our communities, we must create schools and classrooms where creativity thrives. We are fortunate to have many researchers, authors, and examples of schools such as those in the municipally funded system of schools for young children in Reggio Emilia to inspire us and help us. As Ken Robinson says, we must shift our current paradigm of school to one that is dedicated to children’s intelligence, creativity and gifts. Several years ago we met a young film maker, Bianca Giaver at Middlebury College. Among other innovative films that she created, one, entitled Scared is Scared enacts, casting Middlbury College students, a delightful improv story about Asa Bear and Toby Mouse as told by six-year-old Asa Baker-Rouse. It highlights the natural, playful, spontaneous mind of a six-year-old and the creativity, hard work, skill, and passion of a young film maker and a group of college students. The film has been viewed almost two million times on Vimeo. There are articles about it in Huffington Post and online at Bustle. Take the 8 minutes to watch this film as you will be charmed, delighted, touched, and inspired to take creativity in everyday clothes into your day and into school. We promise.